Hulu expects to pass the 12 million subscriber mark sometime this month. The streaming video service announced the new number on Wednesday morning ahead of its annual presentation to advertisers. This time last year, Hulu was closing in on the 9 million subscriber mark. 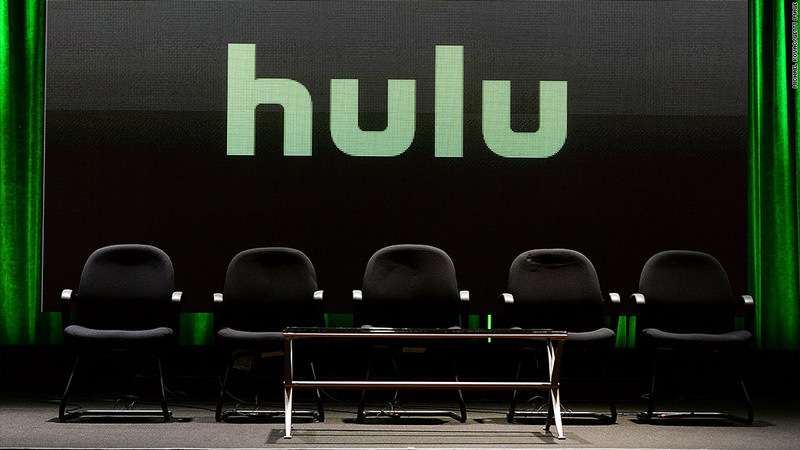 The data suggests that Hulu's growth has slowed. At the end of April 2015, the company said it had seen "a 50% increase in subscriber base since 2014." On Wednesday, it touted "30% growth in subscribers" year over year. Hulu streams some TV episodes for free, but the company has prioritized its $8-a-month subscription option. It also sells a $12-a-month commercial-free option. At the advertiser event on Wednesday the company's CEO Mike Hopkins will talk about a third subscription option: A cable-like bundle of channels that will cost about $40 a month. Hulu is looking to start selling the bundle early next year. First, though, it has to secure the rights to channels from the companies that control Hulu — 21st Century Fox (FOX), Disney (DIS) and Comcast (CMCSA) — and from the owners of other big channels. A couple of other streaming cable TV services already exist: Dish Network's (DISH) Sling TV and Sony (SNE) PlayStation's Vue. So far, Sling and Vue have not cut into the market share of traditional TV providers like Charter, DirecTV and Verizon (VZ) FiOS. But Hulu could be more disruptive because of its widespread brand recognition and the backing of its parent companies. Some analysts have said Hulu's plans are a "declaration of war" against traditional TV providers. Hopkins responded in an interview with The New York Times, "It is not a declaration of war on anyone. I don't think we are designing this for people that are really happy with their pay TV service. This is designed for the people that the marketplace is concerned are falling out of love with pay TV. We want to have a product for them." In the shorter-term, Hulu is promoting several new shows, including a drama called "The Path" that debuted in March. On Wednesday Hulu confirmed that it has ordered a second season of the series. Hulu has also ordered a fifth season of "The Mindy Project," the comedy that it picked up last year after three seasons on Fox. The streaming service also said it is starting a division called Hulu Documentary Films, opening a new front of competition with its bigger rivals Netflix and Amazon. The first documentary will be "The Beatles: Eight Days A Week" by director Ron Howard. The film will come out in theaters in the fall and stream exclusively on Hulu.